Free high resolution photo of a blooming pink crabapple tree in spring. You can see branches covered with blossoms and buds, budding green leaves and a beautiful blue sky in the background. 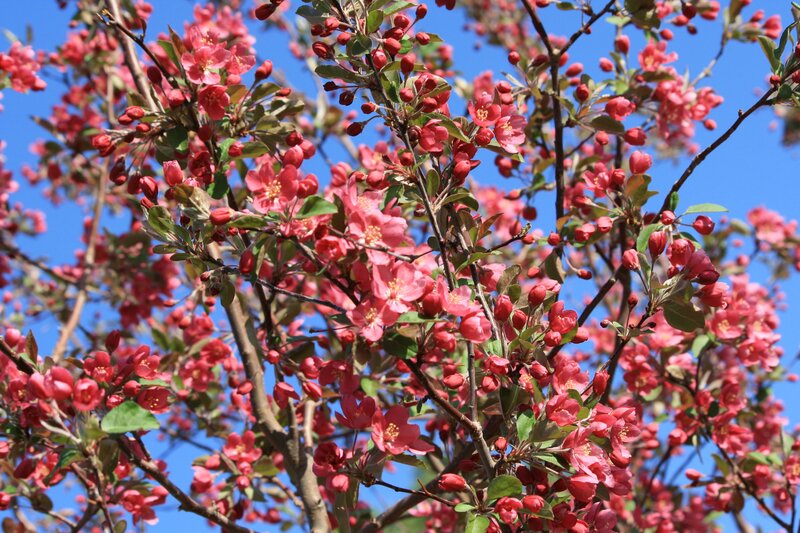 The flowers of this tree are a dark pink almost salmon colored. Great background image for a web page or blog, desktop wallpaper or texture for Photoshop. Free picture for any use.